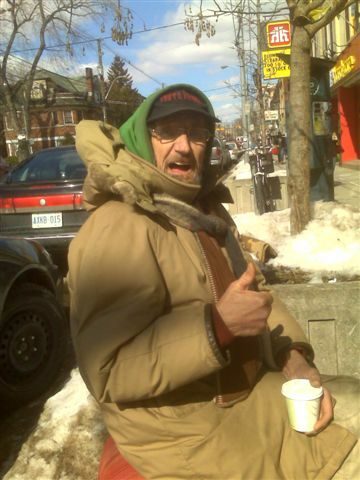 This entry was posted on	February 23, 2008 at 2:45 pm	and is filed under birthday party, Dundas Ave., Gino's, Howard Park Ave., thumbs up, Tony, Tony Clemens, Toronto. Dear, Big brother I would Love to be at your Birthday party but I have to work at the Coffee time donut Shop on Hwy 11 north bound that night . So have A Great birthday Big Brother. happy birthday!!! Now, get off the streets!!! happy birthday and best wishes from Marburg, Germany! Keep up your wise work! Happy Birthday little brother,Hope the next year will be really good for you and all wishes will come true.Enjoy your day. May you have a good, healthy year and many more!! with much to teach us all!! Indeed! Happy belated birthday Tony.. all the way from Singapore.